Dr. Kristene Kelly pushing forward to AD at D3 school to senior associate AD at Dartmouth. 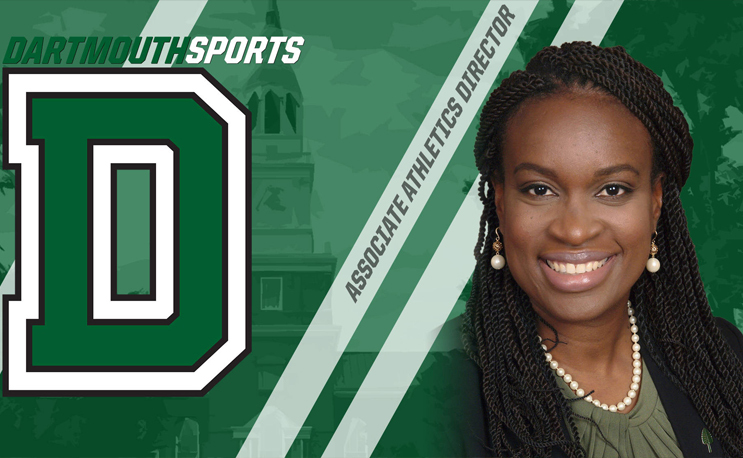 HANOVER, N.H. — The Dartmouth College Director of Athletics and Recreation, Harry Sheehy, today announced the hiring of Dr. Kristene Kelly as the senior associate athletics director for varsity sports and senior woman administrator for the Big Green. Kelly, who will begin her post on Aug. 1, arrives in Hanover after spending the past two years as the athletics director at Keene State, where she oversaw a group of more than 35 coaches and staff competing in 18 sports for the Division III Owls. During her two seasons, Keene State had six teams advance to the NCAA postseason, including the 2016-17 men’s basketball team that advanced to the Elite Eight. Nearly 200 student-athletes were recognized as Little East Conference All-Academic performers during her tenure as well. Prior to Kelly’s appointment at Keene State, she served as the associate athletics director and senior woman administrator at Saint Augustine’s University in Raleigh, North Carolina. Among her responsibilities for the Falcons were supervising the day-to-day operations for the 14-sport program, directly supervising head coaches in five sports, writing all grant proposals for the department and administering all programs funded by grants, plus serving as deputy Title IX coordinator for athletics. Kelly twice earned the Central Intercollegiate Athletic Association (CIAA) Senior Woman Administrator of the Year award (2011, ’13), and also was an adjunct professor before being elevated to an assistant professor and department chair for sport management as well as the faculty athletics representative in her final year at Saint Augustine’s. A 2000 graduate of Johnson C. Smith University in Charlotte, North Carolina, with two bachelor’s degrees in physical education and communication arts, Kelly began her career in collegiate athletics as an academic counselor and graduate assistant at the University of Tennessee in the 2001-02 school year. She began working toward her master’s at Tennessee in human performance and sport studies, completing her degree the following year while starting a new job at her alma mater as the sports information director, a post she held for six and a half years. Just the second female to be named the CIAA John Holley SID of the Year in 2005, Kelly also earned her doctor of education in sport management from the United States Sports Academy in July 2014. Kelly is a very active committee member within the NCAA. Her previous committee service included the NCAA Woman of the Year Committee and the NCAA Division II Track & Field Committee. She also served as a member of the CIAA Management Council and as a committee member for several CIAA championships. Kelly has completed several leadership development institutes, including the NCAA Leadership Institute for Ethnic Minority Women (2007) and the NCAA/NACWAA Executive Institute for Administrative Advancement (2010). A guest speaker on panels such as “Best Practices for Improving Graduation Rates,” “Title IX” and “Work Life Balance,” Kelly has also been a presenter for the Black Women in Sport Foundation — Next Step Women of Color Mini-Forum. Kelly was no stranger to the athletics department as an undergraduate at Johnson C. Smith, earning all-rookie honors on the softball team before captaining the squad as a senior. In addition to serving as the sports information intern all four years, she was also a student trainer for the football team. A native of St. Croix, U.S. Virgin Islands, Kelly is married to Jonathan Kelly Sr., and the couple has one son, Jonathan Jr. (14). She is an active member of Delta Sigma Theta Sorority, Inc.